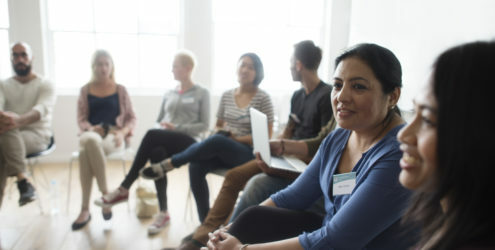 Mental Health First Aid for Rural Communities teaches people how to notice and respond to signs of mental health and addiction challenges with a specific focus on the cultural and environmental factors related to life in rural areas. More than 6.5 million people in non-metropolitan counties experienced a mental health condition in 2016. Approximately 1.3 million people living in rural areas have thoughts of suicide each year. Chronic shortages of mental health professionals exist in rural areas, as mental health providers are more likely to practice in urban centers. Teaches an action plan to identify and respond to signs of mental illness or addiction in rural communities. Encourages an open dialogue about mental health in rural communities.